Welcome to the Cambodian border I thought. Cambodia had been having minor border battles with Thailand in recent weeks with a few people dying from gunshot wounds. I am about 30 kilometers from that border. Peace Corps kept tabs on me but told me I had nothing to worry about. No one in the community seemed worried, so I wasn’t. They piled into whatever form of transportation they could find. So why the evacuation practice? 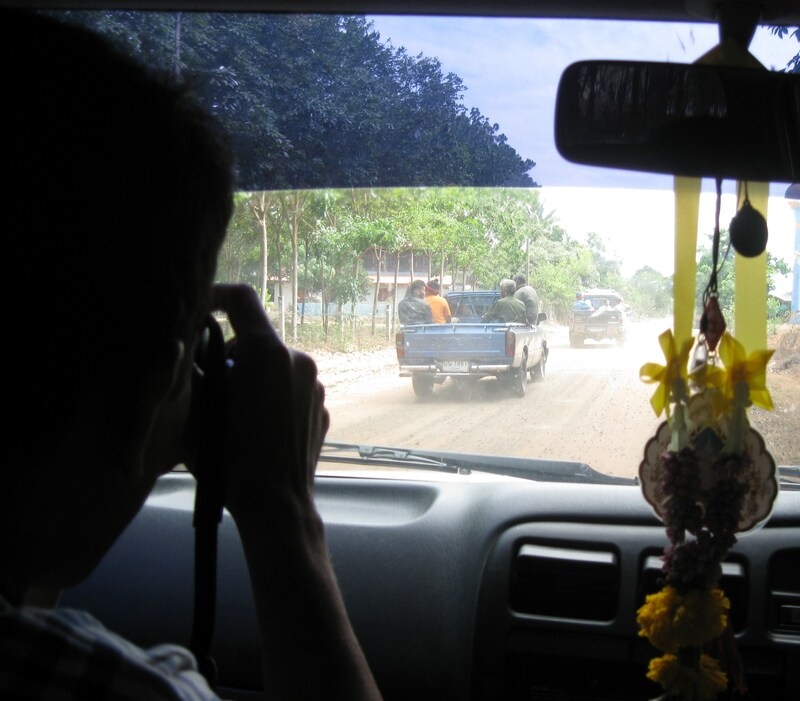 The next day I got in a truck with a bunch of others from the office and we checked numerous community shelters to make sure the villagers were following evacuation protocol. They were, but they were more excited about the tall white guy walking with the office workers. Everyone wanted to talk to me and have their picture taken by my side. I wasn't the only one taking pictures of this crazy day. We eventually found our way to a soccer field of a school where they were serving lunch. Occasionally people would ask me if I was afraid and then make cartoonish bombing sounds. I’d laugh and say no. I wasn’t. 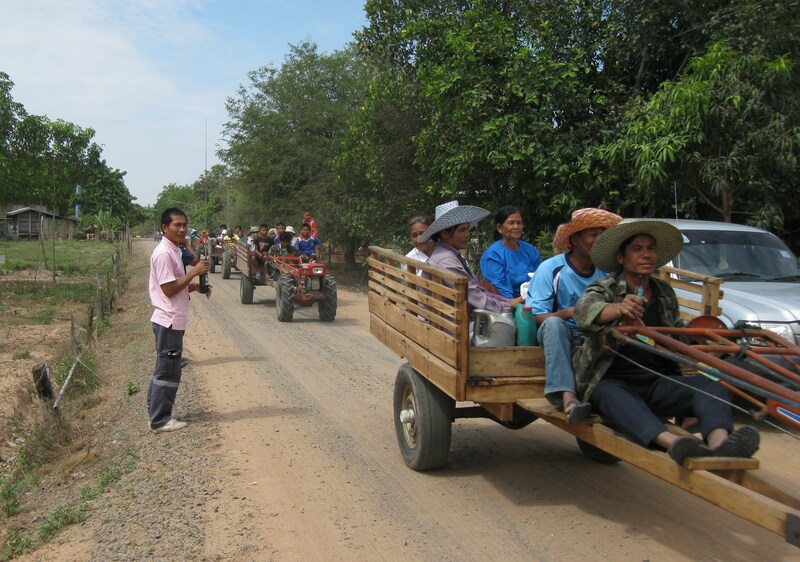 How can you be afraid of the Cambodian Air Force while surrounded by smiling, laughing Thais? That was my second day on the job. It’s only gotten crazier. 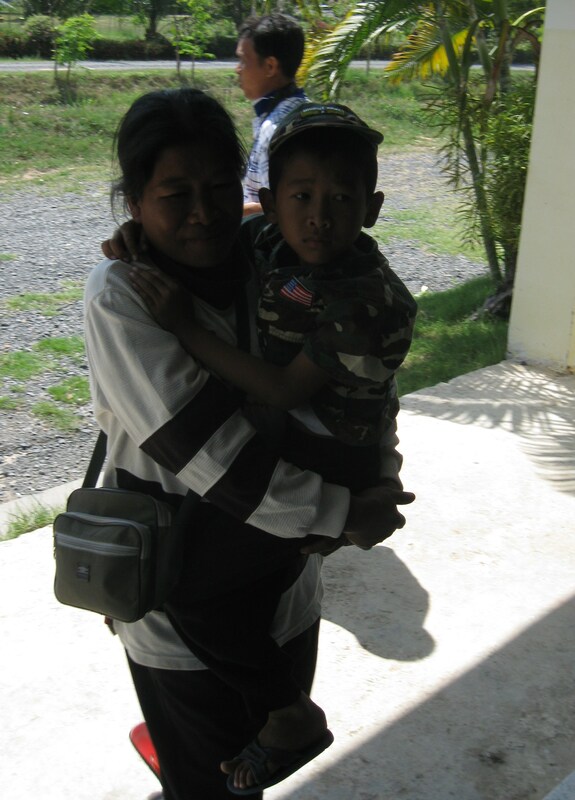 This entry was posted in Peace Corps and tagged border battle, cambodia, peace corps, thailand by Jeff Jackson. Bookmark the permalink.